This is a disorder where people are obsessive with shopping and buying behaviour. According to Kellett and Bolton, compulsive buying “is experienced as an irresistible–uncontrollable urge, resulting in excessive, expensive and time-consuming retail activity [that is] typically prompted by negative affectivity” and results in “gross social, personal and/or financial difficulties”. 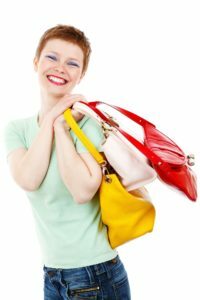 Generally, compulsive buying makes the individual feel worse, just like alcohol and gambling it has its dopamine effect which leads to an adverse effect because of the financial debt and burden that has placed upon the person after compulsive shopping. Persons may use shopping a form of therapy to cope with underlying sicknesses such as depression, loneliness, and anxiety. You should first admit you have a problem, Admitting you have a probably is the first step in fixing it. Without admitting you have a problem more likely, none will seek to help you and neither will you. To avoid impulsive buying, you can freeze your credit card or ‘go hard’ by cutting them into bits and pieces. Avoid going to the retail store or the mall. I know it can be tempting to stop at the mall when travelling home from work or to go run errands. But do yourself a favour pass GO! and save yourself that $200. Whenever you need to shop bring the exact change, preferably cash or cheque. This will avoid using credit and debit where there aren’t many limitations. When going to the supermarket try using the smaller trolley or the basket instead to avoid picking up unnecessary grocery items you do not need. Plan your purchases by making a budget, first, pay all your bills. What is left, deposit it in your savings account. You can leave out a few bucks for emergency money. Try to avoid online and TV shopping and it’s much better to go to the store. Even though you can ‘over-shop’ at the store, it is much more restricted because you actually have to get up and go to the store. In addition, stores are more likely limited than online/TV. Last but not least is to GET HELP! Trying seeing a mental health professional. There are also group meetings that you can attend both physically and online. If you, a loved one or anyone you know that has a problem can be assisted by contacting the link below. « He Cheated! Why do men cheat?